Encompass your laptop in a personalized neoprene case. Enjoy added protection with a unique personalized flair. 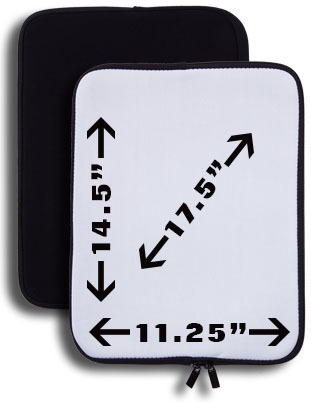 Our 15" Laptop cases measure 10.75" tall by 14" wide, with a 17.5" diagonal.